Iveco Easy is short called of Iveco Electronic Advanced System,it is designed for diagnostics, programming and configuration of trucks buses sold under the brands Iveco, Daewoo, TATA and IRISBUS.Iveco Easy allow you to access various electronic control units on the vehicle,view functions and make diagnostic procedures clear and adaptable to various needs. Note:For pass-tru Iveco Diagnose and program you need to enter site IVECO TECH Register and download special application for not dealer. Read whole manual there is information which interface is recommended (MVCI). I try with my CanTieCar but sometimes i loose conection. 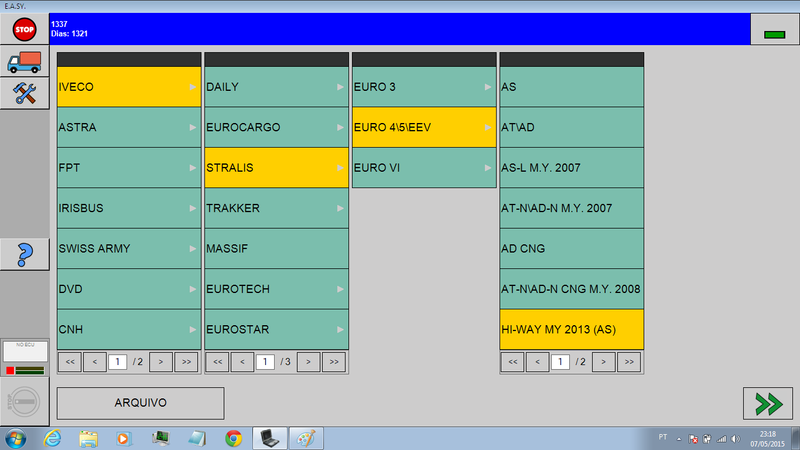 Iveco allow only to diagnose and program cars that are in warranty!!!! Very important! First u have to be online, interface read VIN, check that car is in warranty and if he is then you can make magic.Off course you have to pay for it but … nothing free those days. How to Install Iveco Easy 11.1.5? 5) : Open E.a.sy on desktop and close.